Last Sunday, a feature film I worked on had it's hometown premiere at the Oak Cliff Film Festival, in Dallas! 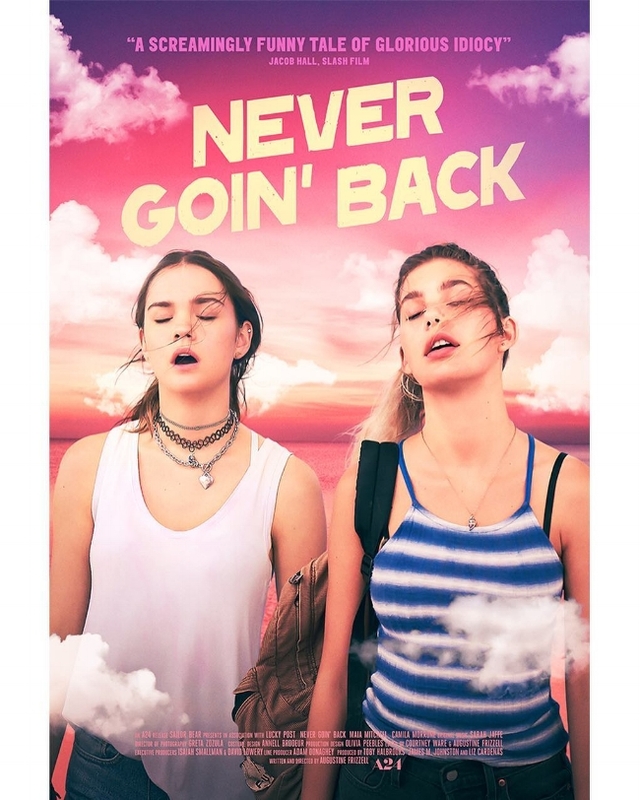 Never Goin' Back directed by Augustine Frizzell, starring Maia Mitchell and Cami Morrone, is a teen comedy (rated R) about two girls just trying to make it to the beach. I was the head of makeup for this independent movie, which filmed around the metroplex in the hot, hot Texas summer of 2017. Movies require a great deal of manpower, team work and skill. Every film I work on is different, but a few things remain the same: From pre-production until the camera rolls on Day 1, butterflies take up residence in my stomach. I wrap the project feeling like I have grown my family by 30 people. Thirdly, I cry the first time I see the finished movie, every time. All of it is reason enough to continue on this chase after my creative dreams. The first bit of exciting news that we received about Never Goin' Back was that it was accepted into Sundance Film Festival, earlier this year. That was exciting in a major way! Check out what they wrote on it, here (with a brief shout out to the makeup department head towards the end). It was really important for Angela and Jesse to feel like they are real people, not Maia and Cami, causing a ruckus in Garland, Tx as you read this. Obviously, both actors are naturally stunning, so making them appear any other way was nearly impossible. And I wouldn't really strive for that, anyway, not for this movie. We wanted to play up their youthfulness, while not creating something too character-y. Avoiding glittery eyelids was a real struggle! (Any 90s kids out there?). I had a few points of interest that were most important to me. Firstly, anyone who has worked with me, knows that I am all about skin. If someones skin isn't in the right place, it's hard for me to believe the rest of the makeup. Even as the makeup changed, skin was priority. I also kept the eyebrows on both girls full and natural, to further embrace their youthful characteristics. Cami actually has very dark brows, naturally, so I ran a touch of an ash blonde brow gel through her brow hairs to imitate more of her new growth near her scalp. Which takes us in to another big player these character looks - hair color. Yep! Anastasia Strattan came to the rescue there, and interpreted exactly what we wanted. She is a color master, folks - and part mindreader, I think. The biggest transformation was on Cami (Jesse), I love her 'Jesse' hair the most. Anastasia created a naturally platinum, sun-bleached set of locks, growing into more of a mature, sandy blonde. The grown out platinum hints that she has outgrown her innocence and purity. Something so subtle to our viewers, but makes a massive subconscious impact! Its like poetry to my heart. Maia (Angela) had some color treatment as well, to give her rich brunette hair a bit of dimension, which really shows in just the right light. Because brunettes like to have fun, too, y'all! Never Goin' Back hits theaters August 3, 2018 nationwide! I am so excited to share this project with everyone. Though this is a rated R film, there was a high standard of professionalism set from the time we touched down on the first day of filming. We had a hilarious time behind the scenes! I am very proud to say that this crew was respectful, mature and considerate of each other, especially our talent, regardless of the movie's content. I want to give a shout out to the visionary and our director, Augustine Frizzell, whose boldness has started a wildfire of inspiration. I am overwhelmed with gratitude to have worked on a project that meant so much to her. I am honored to be listed among our extremely talented cast and the hard-working crew that brought this script to life. I wouldn't trade those 27 days on set for anything. I have already seen the completed movie, and cried, and I hope you will, too!